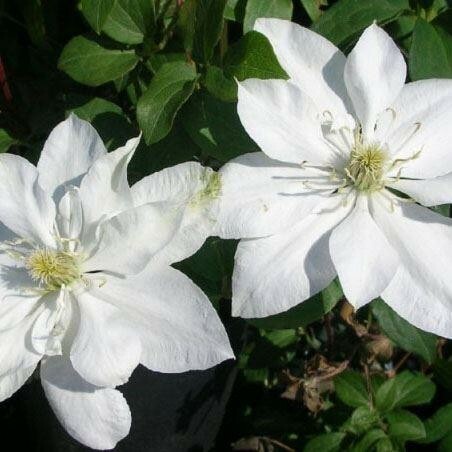 This wonderful variety of deciduous, climbing Clematis, 'Baby Star' is very unusual in that it first blooms at the end of Spring and will then produce a second flush of flowers in late Summer to early Autumn. Pruning lightly after the first flush will certainly encourage this second bloom. The small, white flowers are almost star-shaped and make this plant very attractive. A relatively small climber, this plant is ideal for small spaces or patio containers.